Cuba’s Tourism Minister Manuel Marrero presented on Tuesday in Holguin, the town of Gibara as a tourism destination. Gibara has been the target of an investment program for over five years improving its parks, squares and increasing its hotel capacity. 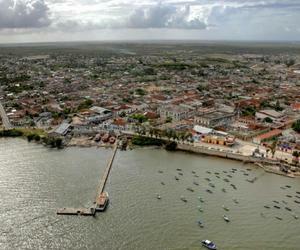 With the participation of guests and representatives of the Cuban Communist Party and government of the territory, Marrero spoke of Gibara’s potential whose historic center was declared a National Monument in 2004, during an activity prior to the official inauguration of the 37th International Tourism Fair, FitCuba 2017, which will begin on Wednesday in the eastern province of Holguin. Among the attractions of the new tourism complex, Marrero mentioned the beautiful and exuberant landscape, its architectural beauty and perfectly outlined streets and houses although he stressed that the best part of the town is its people which he characterized as solidarity, human, loving, hospitable and proud of its culture. During the activity, held in the Jiba Theater, the Tourism Minister commented that after a tour held in 2010, they decided to bet for a tourism development in that town known as the White Villa of the Crabs, where Cristopher Columbus landed in 1492. He stressed that with the support of the local authorities a project was initiated based on the experience of other Cuban heritage cities to stop their deterioration and always respecting its natural and historic values. According to Marrero, the program includes the improvements of parks, squares and installations of the historic centers in addition to the main avenues that links of the two plazas of the municipality. The redesign of the culinary offers starting with typical dishes and the expansion of cultural installations are also incorporated in the development plan. He pointed out that installations like El Faro –the oldest of the active beach resorts in the country- have been refurbished as well as the Ordono and Arsenita Hotels contributing in the growth of visitors. The Tourism Minister announced the reconstruction of the Vallado and Almirante heritage hotels, which will be inaugurated next year during the International Film Festival of Gibara. He added that, with the private sector needing to be developed, there are currently 39 homes that are rented –a total of 78 rooms- and 7 private restaurants. Accompanied by Armgard Wippler, Assistant General Director of Germany’s Economy and Energy, guest of honor at FitCuba 2017, Manuel Marrero participated in the opening of the Gibara Nautical Club, Rio de Mares seafood restaurant and the Hotel Plaza Colon with 14 rooms.